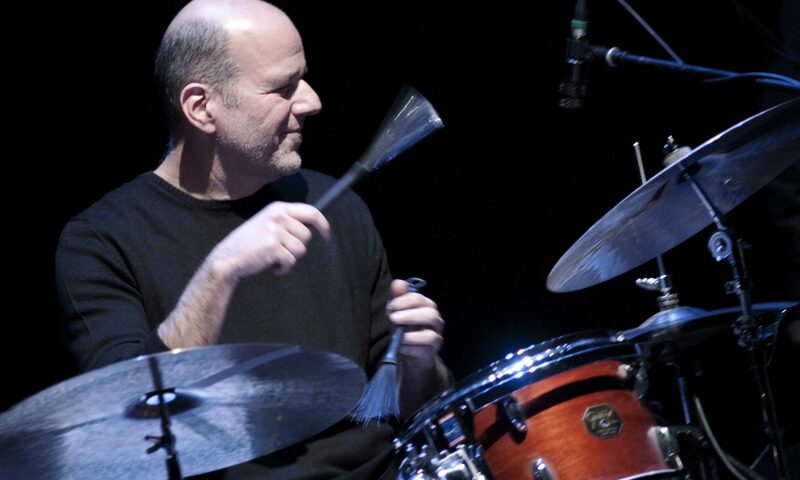 Drummer, composer, arranger; he started studying percussion in 1976 with Vittorio e Gianni Ferrari, both percussionists at the “Teatro Comunale of Florence” He attended at two editions of Jazz clinics in Siena (1978-1979) studying with Bruno Biriaco and, later in 1988, with Frank Malabe and Peter Zeldman at “Drummers Collective” in New York City. He starts playing professional since 1980 as freelance with many italian and american musicians: Massimo Urbani, Larry Nocella, Claudio Fasoli, Tiziana Ghiglioni, Pietro Tonolo, Maurizio Giammarco, Harry “sweet” Edison, Al Cohn, Bobby Watzon, Lee Konitz, Kenny Wheeler, Paolo Fresu, Steve Grossman, Dave Holland, Albert Mangelsdorff, Jean “Toots” Thielemans, Bruno Tommaso, Steve Lacy, Jack Walrath, Gary Smulyan, Brian Carrot, Mike Turk, Dave Liebman. He teaches drums, ensamble classes at the music school of C. A. M. (Florence) from 1983 to 2004; he conducts and write for the student’s Big Band of the same school since 1992. In 1996 he taught “Jazz education” at the Conservatory “A. Casella” in L’Aquila and, from 2003 on, at The in La Spezia. Ensemble Jazz Class for New York University – Florence in 2008. Since 1983 he has been writing and arranging for some of the groups which he works with. As arranger, he was finalist in “Scrivere in Jazz”, a competition for big band arrangers held in Sassari, Sadegna, Italy in 1992 and in 1994. In 1998 he won first prize in the “Barga Jazz” : a competition for original compositions. In 1987 begins studying arrangiament with Bruno Tommaso and, later, with Giancarlo Gazzani. Then he approaches classical composition. He regulary writes and arrange for the groups he plays with. From 1984 he plays in different italian Big Bands. In 1992 he begins to conduct and arrange for the “Duke of Abruzzi student Big Band” The Orchestra also featured important italian and american musicians as guest artists: Paolo Fresu, Maurizio Giammarco, Tiziana Ghiglioni, Mario Raja, Lee Konitz, Eddie Henderson. In 1999 composes original music for Moliere’s play “Monsieur du Pourceagnac” (produced and directed by Andrea Mugnai). After attending private instruction in compositions with M° Leonardo Abatangelo, he graduated in “Orchestration for Wind Orchstra” at the Conservatory “G. B. Martini” Bologna with M° Roger Mazzoncini. In 1993 – 1994 he wrote 11 education articles concerning big band drumming on “Percussioni” , an italian musical magazine with national circulation. In 1996 – 1997 he wrote another series of educational columns. He contributed to the clinic section on www. jazzitalia. net.